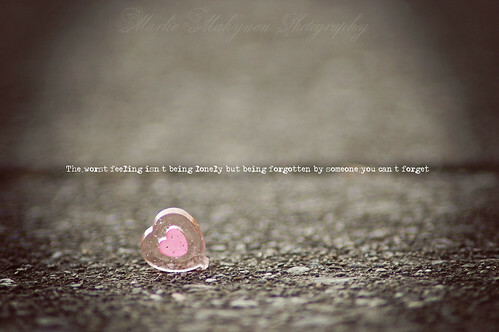 "The worst feeling isn’t being lonely but being forgotten by someone you can’t forget"
This entry was posted on Sunday, September 26th, 2010 at 5:42 pm	and posted in Photography. You can follow any responses to this entry through the RSS 2.0 feed. Amazing focus. It looks so very sharp.